“Compensation culture” is threatening the future of some hoteliers and preventing new businesses from entering the market, according to an industry body in Ireland. The Irish Hotels Federation (IHF) said that an increase in compensation payouts to hotel guests meant insurance companies were raising premiums for liability insurance – and effectively shutting prospective new hoteliers out of the sector. Speaking to The Journal, president of the IHF, Joe Dolan, said prices for the compulsory coverage – which protects against guests injuring themselves on hotel premises – had gone “through the roof” since 2015. Mr Dolan said that increased premiums had coincided with ballooning compensation payouts as well as the reluctance of insurance companies to contest these claims in court. “That in itself is driving a compo culture,” he added. The issue of hotel liability and a culture of compensation is not limited to Ireland, with hoteliers in Spain reporting a huge rise in food poisoning claims made by British holidaymakers in the past two years. The Guardian newspaper reported that one hotelier on the Spanish island of Mallorca saw gastroenteritis claims rise from “a couple” in 2015, to around 200 in 2016 – with all of them coming from British tourists. 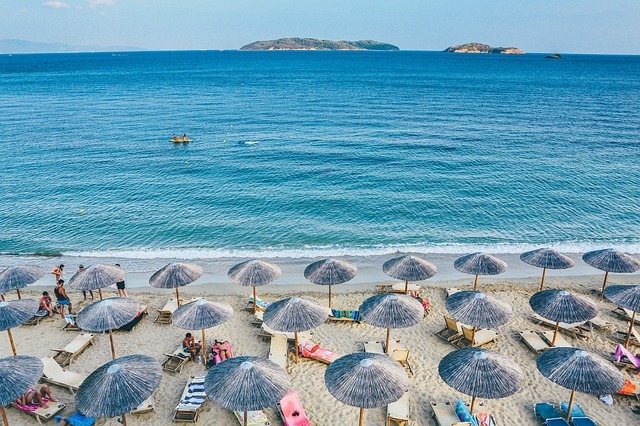 British claims management companies appeared to be targeting all-inclusive holidaymakers with promises of up to £3,000 payouts per person, with no more evidence of ill-health required than a pharmacy receipt for medication. Hotelier “Miguel” claimed that none of the 200 compensation claimants had notified the hotel of sickness while staying in the resort. According to Spanish media reports, hoteliers in Mallorca said £42 million in fake claims had been made in the first nine months of 2016 alone. Spain has not been the only country to experience a sudden increase in the number of food-poisoning claims by British tourists, with similar stories being reported in Cyprus, Bulgaria and Turkey, among others. In May this year, the British Foreign and Commonwealth Office (FCO) warned British holidaymakers in Portugal that they could face prosecution if they lodged bogus food poisoning claims against hotels. In June, the British travel trade organisation Abta launched a campaign called Stop Sickness Scams, urging the government to close a loophole which it claimed encouraged lawyers to sign up people claiming they were sick, even if they were not. Osprey Insurance is able to assist and advise on wide-ranging insurance coverage for all type of hotels and catering establishments, from small businesses to global operators. Our company’s ultimate aim is to assist our clients in understanding and controlling the risks they face on a daily basis, either through Insurance or other risk mitigation measures, in the most affordable manner. We also help our clients with the handling of any claims that they may incur during the policy period, bringing added value and expertise – especially when handling bogus or inflated claims. Osprey Insurance Brokers Co Ltd (C 19103) is licensed to conduct the business of insurance broking and is regulated by the Malta Financial Services Authority. If you would like to receive our latest news and updates, please fill the form below.